My son loves building blocks. He can spend hours building cars, campers, houses, and even a Halloween town (his latest creation). However, these block are not just blocks to him. They create a whole new world for him. He has stories that go along with each of the items he builds, the details are incredible. Once my son is done building his newest creation, he always brings them to me saying, “I’ve got a surprise for you.” I am always amazed at all the different things he makes. He even gets down to the details of tables and chairs for houses, control panels for vehicles, and more. While he is showcasing his newest build, he explains to me everything – down to the chimneys on houses, to the grills and axles of vehicles. For example, the Halloween town, he built it under his building block table so that way it was dark for the Trick-or-Treaters. He had houses built with roads in between. He even included trash cans for the houses (see the details!). He also as the little men walking around a bag and a flashlights. Sorry, I don’t have a photo of this one. It was dark when he showed it to me bedtime and the photos didn’t take very well. He has an incredible mind and I want to make sure that he gets what he needs to nourish it. He can be a picky eater, but I don’t worry too much about that. I do have a secret ingredient that helps him get the nutrients that he needs. 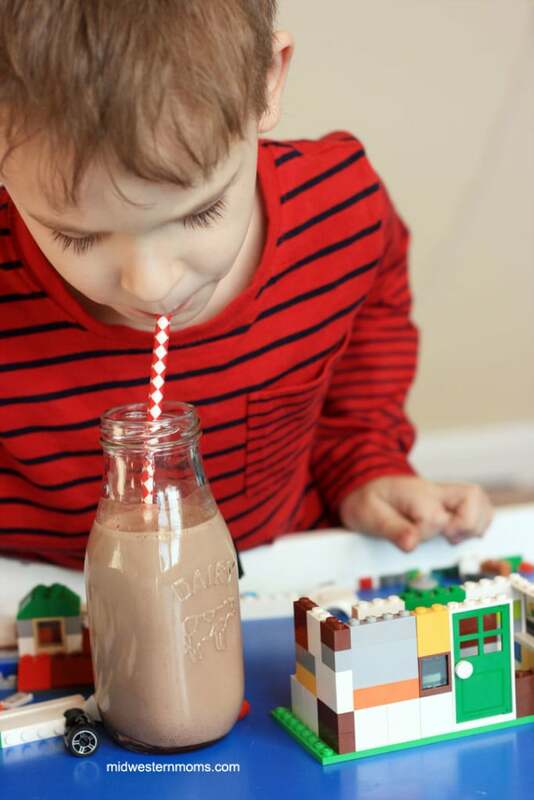 He loves the chocolate milk that I make with Nesquik’s chocolate powder. 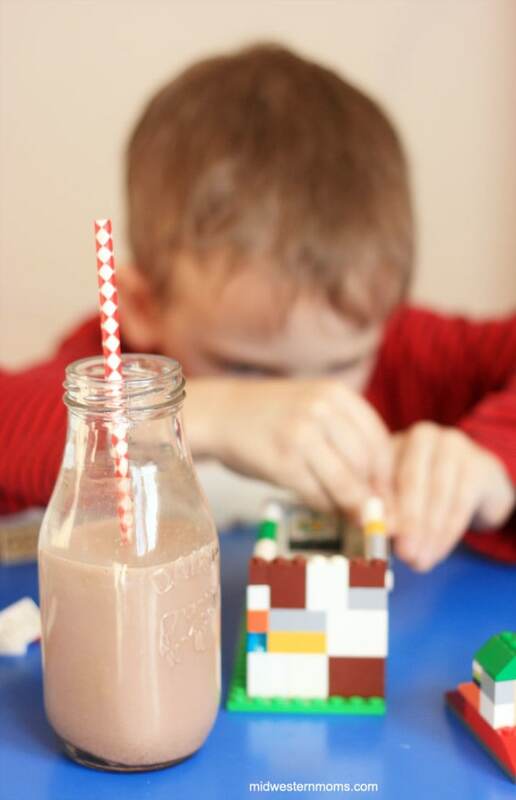 He has no idea that Nesquik has iron to help him grow and develop, vitamin C to help support a healthy immune system, three essential B vitamins to give him energy to play, copper which helps the body absorb iron, and manganese to support healthy bones. Did you know Nesquik was full of all those essential nutrients? Doesn’t make me feel guilty for giving him chocolate milk. Want some inspiration for breakfast? Try some of the recipes in Nesquik’s Pinterest boards. Also, keep in touch with them as well on Facebook. 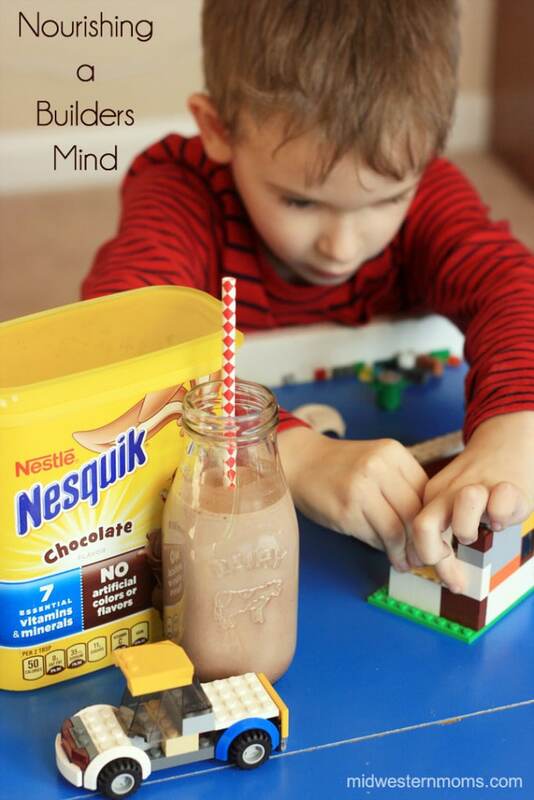 Thank you to Nestlé for sponsoring today’s post and inspiring me to try Nestlé® Nesquik®! Love the ideas, thank you for sharing!